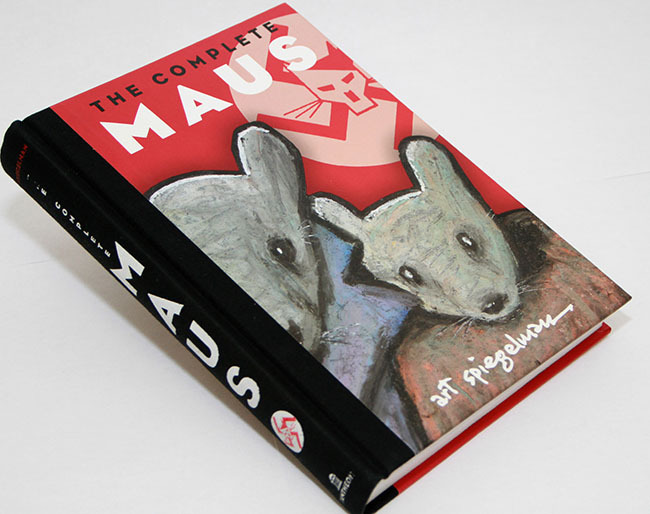 “Maus” is a Pulitzer Prize winning graphic novel which depicts a cartoonist’s attempt to retell his father’s story of how he survived the Holocaust and their difficult relationship. Spiegelman casts the Jews as mice and German soldiers as cats. The Honor Reads panel discussion also featured history professor Paul Bethel and art professor Betty Nelson. At the beginning of the panel, some panel members declared “Maus” the first graphic novel masterpiece. Lyman disagreed, stating that he thinks the first masterpiece is a German’s children’s book “Struwwelpeter” by Heinrich Hoffman. The panel showed slides of the artwork of Spanish painter Francisco Goya, while Bethel gave the historical context from each art piece, and introduced the audience to underground comic book artists, including Robert Crumb and Lynda Barry, to give the audience context where “Maus” falls into in comic book history. “One of the things I want to do is give a context, a visual contexts,” Nelson said as she showed slides of photos of Auschwitz and the art of jews who were imprisoned, like Felix Nussbaum. Auschwitz was a concentration camp in Poland that also operated as an extermination camp. Maus is one of many artistic depictions of Auschwitz. Bethel said “Maus” was the first graphic novel he read, saying he didn’t know what to say when first offered to read the novel. “Really? You want me to read a comic book? I don’t know if I became a fan of the graphic novel, but I would be willing to read another one,” Bethel said. Honor Reads will present “A Chorus of Stones” by Susan Griffin on Oct. 15 with philosophy professor David Denman, and also on Nov. 4 with English Professor Michaela Cooper. Be the first to comment on "Honor Reads Hosts discussion on Maus"